Our grandmothers and mothers have always passed on their age-old wisdom to us. Whether it is about cookery or beauty, we’ve always relied on them. However, every once in a while comes along an old-wives tale which confuses you and makes you question their truth. In this post, we’ll visit a few of those tales which are nothing but make believe myths and tell you why you should be breaking them! This is one of the most popular myths out there and the truth is, colouring your hair does not, in any way make your hair turn grey faster. The process of the greying of your hair is controlled by the melanin and pigmentation production that occurs deep inside your follicles and scalp. When hair colour is applied, it is carried out superficially from the roots upwards and hence, the colouring process on the outside has no connection whatsoever with the greying process that takes place on the inside. This is an old myth that has been passed down from the ages which is untrue. 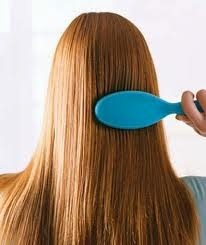 Brushing your hair a 100 times is unnecessary in many ways and will, in fact, only do bad to your hair. Brushing your hair numerous times can cause damage to the hair follicle, strip it of its natural oils and its coat, thus, in turn making your hair frizzy and rough. This myth is one that we’ve read for years but is another untrue statement. The amount of times you wash your hair should depend on what kind of scalp and hair you have and not on anything else. If you tend to have an overly greasy scalp that makes your hair oily and flat, washing your hair daily is fine for you. If you’ve got a dry scalp, washing your hair on alternate days should be enough. The only precaution is to use a nourishing, mild shampoo for regular washing so that your hair stays healthy, strong and free from damage.